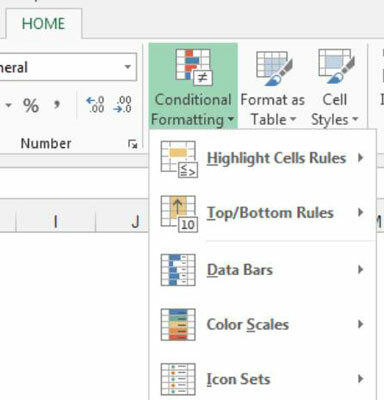 Conditional formatting enables you to enhance your reports and dashboards in Excel by dynamically changing the formatting of a value, cell, or range of cells based on a set of conditions you define. 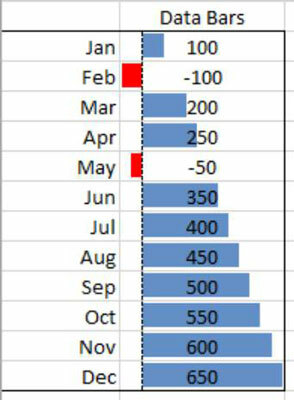 Conditional formatting adds a level of visualization that allows you to look at your Excel reports and make split-second determinations on which values are “good” and which are “bad,” simply based on formatting. 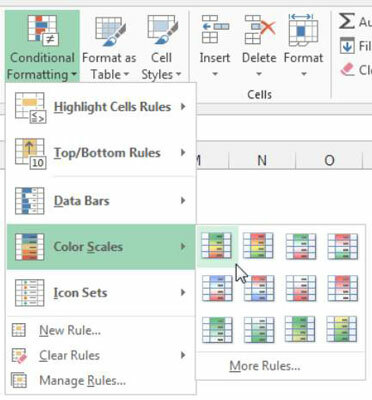 To get a first taste of what you can do, click the Conditional Formatting button found on the Home tab of the Ribbon, as shown in this figure. 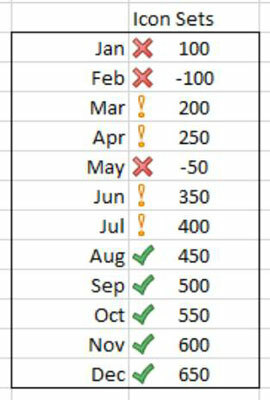 Select the target range of cells to which you need to apply the conditional formatting. 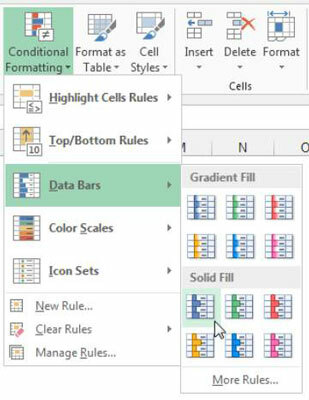 Choose Data Bars from the Conditional Formatting menu on the Home tab, as demonstrated in this figure. As you can see in this figure, the result is essentially a mini-chart within the cells you selected. Also note that by default the Data Bars scenario accounts for negative numbers nicely by changing the direction of the bar and inverting the color to red. 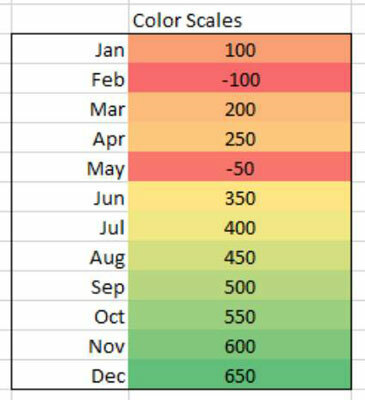 Choose Color Scales from the Conditional Formatting menu on the Home tab. See the figure. As you can see in this figure, the result is a kind of heat-map within the cells you selected. 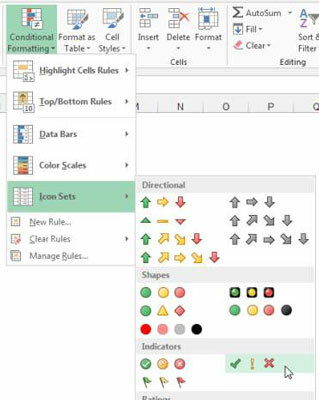 Choose Icon Sets from the Conditional Formatting menu on the Home tab. As you can see in this figure, you can choose from a menu of Icon Sets varying in shape and color. This figure illustrates how each cell is formatted with a symbol indicating each cell’s value based on the other cells.